Some digital cameras have ability to be used as webcams and are shipped with necessary webcam software, but most camera vendors don't provide such software. In this tutorial you will learn how to use Canon DSLR or Nikon DSLR camera as a regular webcam with the help of SparkoCam. SparkoCam is the software that allows you to turn your Canon or Nikon camera into a standard webcam for video chats, conferencing, recordings, etc. 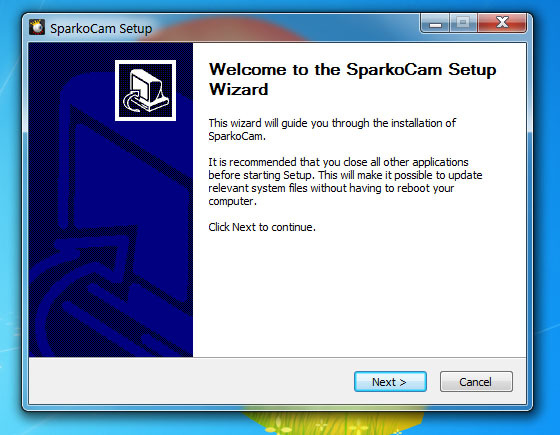 Download installation package and run SparkoCamSetup.exe. Follow all installation steps carefully until the setup is complete. 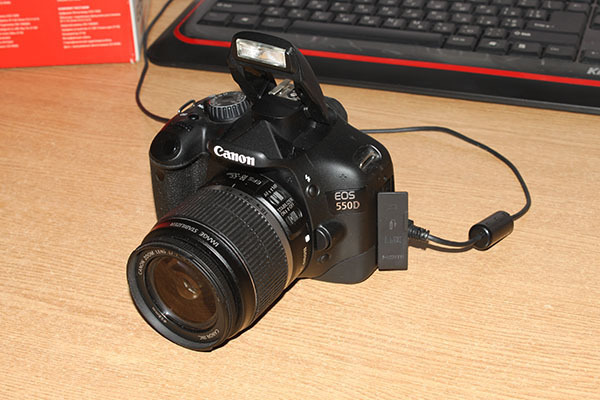 First thing you need to do is to plug-in your camera's USB cable into computer. 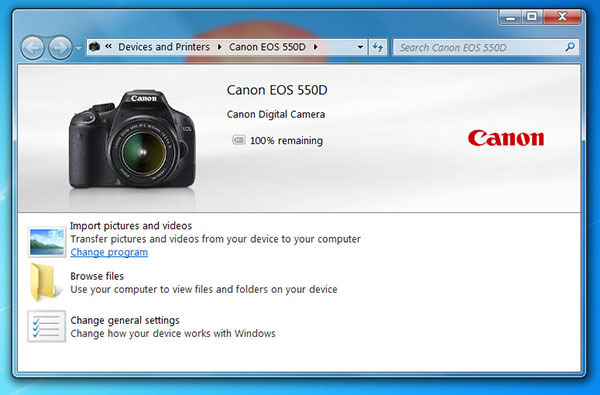 Once camera gets recognized by Windows you may see a notification in a system tray or a popup window about newly available device like the one below. If you don't see such window - don't worry, it isn't mandatory, so just follow next steps. Also, if you installed software that comes on a CD that is shipped with the camera, you may get EOS Utility started up. SparkoCam doesn't require EOS Utility to function properly, so just close it and go to next steps. Go to Device tab and select Canon Camera checkbox to transform your Canon camera into webcam or Nikon Camera in case you have a Nikon DSLR camera. If you have only one camera connected to the PC, SparkoCam will automatically pick it up, otherwise select required camera from the Camera list. 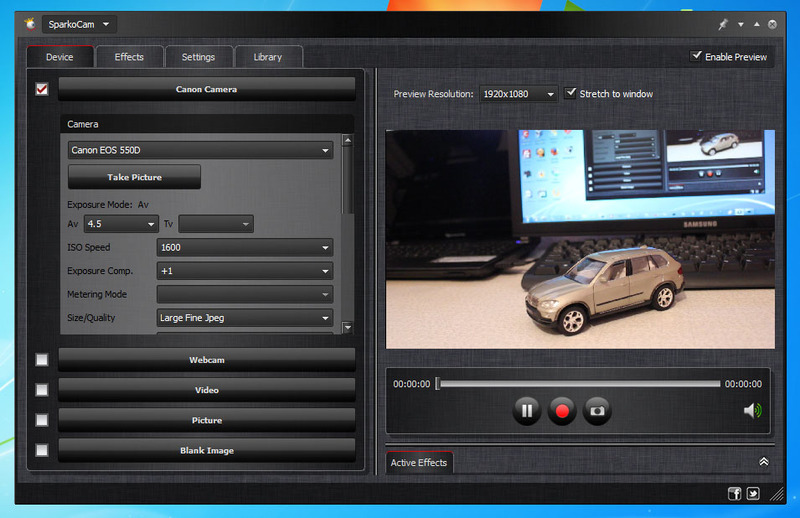 At this step you need to configure your target application to use SparkoCam as a video source. 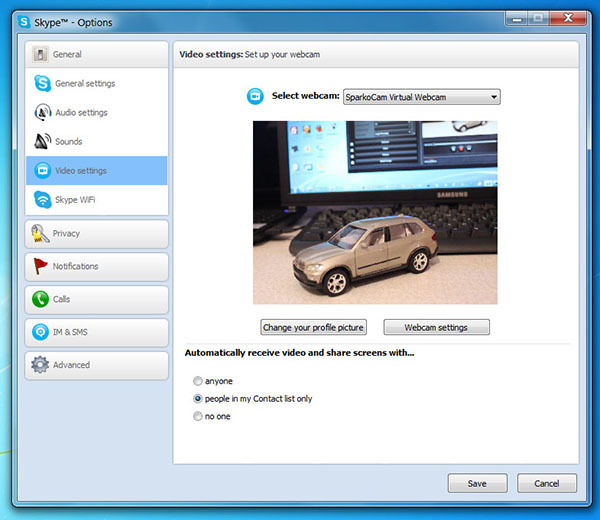 For example, to configure Skype you need to open Options dialog and select SparkoCam Virtual Webcam in Select webcam list. Please note that Canon and Nikon cameras don't provide functionality for using their microphones for audio capturing, so it won't be possible to use camera's built-in microphone for sound, thus you need an external microphone to enable voice.